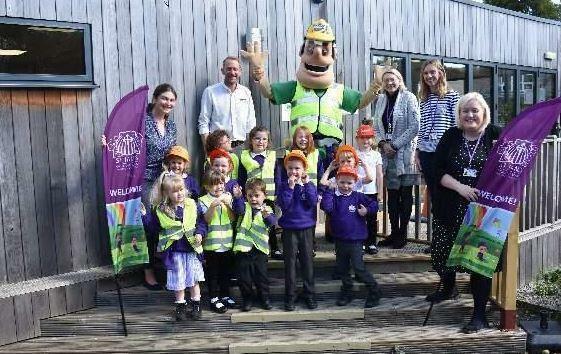 What a surprise the children had this week, when Construction Industry Mascot Ivor Goodsite came to visit! Ivor was accompanied by Marcus Grant, Project Manager from Morgan Sindall, who told the children all about their new school building, as well as giving a talk about safety on construction sites. Thank you to Marcus and Ivor for such a wonderful visit!